With a computerized database of 4,000 celestial objects, the ability to align on three stars of your choosing, and a nice choice of telescope styles and sizes, the Celestron NexStar SLT series of telescopes is just plain amazing. The refractor and Maksutov-Cassegrain models of the NexStar SLT line are great for both celestial and terrestrial use (sky & land), and the Newtonian reflectors give you lots of bang for your buck with larger optics (which let you see further out into space) with less cost per inch of aperture than other telescope designs. The electronics on all of the Celestron NexStar SLT telescopes will take you on a trip around the Universe, letting you stop in at a myraid of galaxies, nebulae, planets, and star clusters with the push of a button. Yes, the Celestron NexStar SLT is quite a telescope, and it comes with several accessories to get you started on your astronomical adventure, but before long, you'll be eager for some extra accessories to expand the enjoyment of your NexStar SLT. High Point Scientific has sold a multitude of telescopes, and we've helped thousands of people choose accessories for their telescope as well. There are certain telescope accessories that are always popular, and that are high on our recommendation list, and so we have put together a Celestron NexStar SLT Accessory Bundle that includes many of the most requested (and recommended) telescope accessories. Below we'll discuss each of these Celestron SLT accessories, and tell you why we think they are a good choice. Double Your Magnification Choices with a 2X Barlow! A 2X Barlow lens is the number one NexStar SLT accessory, and for good reason! A 2X Barlow is a handy device that works in conjunction with an eyepiece and doubles its magnification. The Celestron NexStar SLT telescope comes with two eyepieces, a 25 mm and a 9 mm. If you place the 25 mm in the 2X Barlow, it will behave as if it were a 12.5 mm eyepiece, giving you twice as much magnification as the eyepiece would were it used alone. The 9 mm eyepiece will magically turn into a higher power 4.5 mm eyepiece when placed in the Barlow. This is really good news, because it means that, with the addition of a High Point 2X Barlow Lens, you will have four choices in magnification instead of two! Badda-bing! Why Have Four Magnification Choices When You Can Have Six? An extra eyepiece is always a good choice when you are shopping for telescope accessories. Celeston was generous in giving NexStar SLT owners two eyepieces to start with, but we want you to have more options, and that is why our Celestron NexStar SLT Accessory Bundle comes with a 32 mm Plossl Eyepiece. You will find that this eyepiece does a great job of showing you the entire picture when looking at very large objects, because it offers lower power with a wider field of view. 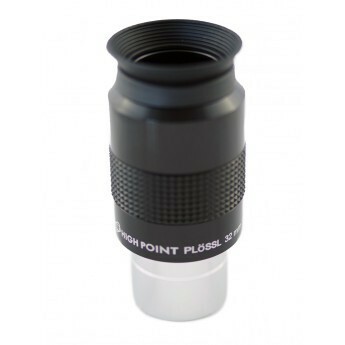 Lower power eyepieces like this High Point 32 mm Plossl let you take full advantage of your telescope's light-gathering capabilities, which means it will work better on faint objects as well. To figure out the actual magnification these eyepiece focal lengths will give you on your specific telescope, just divide the numbers shown above into the focal length of your telescope (listed in each telescope's specifications). For instance, the NexStar SLT 127 Maksutov-Cassegrain telescope has a focal length of 1500 mm. If you divide 32 into 1500, you will get almost 47X, which would be your lowest power, and your highest power (with the 9 mm in the Barlow) will bring objects 333X closer. Don't Waste Batteries When You Can Use AC Power! The Celestron NexStar SLT telescope runs on AA batteries, and that is great when you are away from other sources of power, but why use precious batteries when you can plug in and power off of normal AC household current? 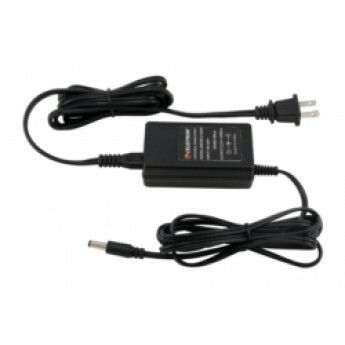 The 3rd item in the Celestron NexStar SLT Accessory Bundle is a Celestron AC Adapter. This 110-Volt AC Adapter has a 12-foot cord, so as long as you are no further than twelve feet from a standard AC power outlet, you're in business! Another nice thing about the Celestron AC Adapter is that it works for pretty much all Celestron computerized telescopes. So, if you ever decide to upgrade your telescope and you stick with the Celestron brand, you can use their adapter on that scope as well. The Moon at Night is Big and Bright.... 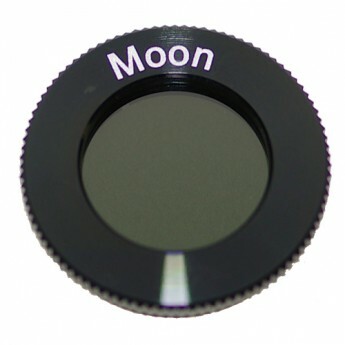 The fourth NexStar SLT accessory in our specially-priced bundle is a 1.25" Moon Filter. Here's the thing, the Moon is wonderful through any telescope, but it is SO bright that your eyes can't take it, so your pupils contract to deal with the over abundance of light. When that happens, whether we are outside on a glaringly bright day or are looking through our telescope at the Moon, we are not capable of seeing all the fine details. That is one of the reasons we put sunglasses on, and it is the reason you put "Moonglasses" on your telescope in the form of a thread-on filter. 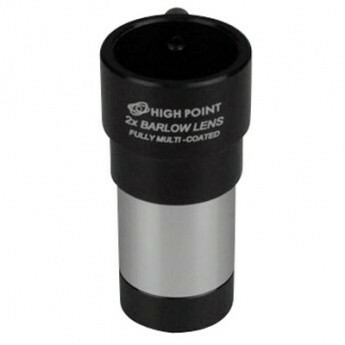 This High Point 1.25" Moon Filter will thread onto the barrel of any 1.25" eyepiece (including all the eyepieces we've talked about so far) as well as your Barlow. It just takes a few seconds, and can make a world of difference in your enjoyment of our beautiful Moon. This filter can also be helpful for bright planets, or, if you plan to use your SLT terrestrially, the Moon Filter, which is a Neutral Density filter, will work great when you are viewing over water, snow, or any other glare-prone substance.